Qualcomm recently unveiled some mid-range chipsets and now some fresh information has emerged about the company’s next flagship silicon, which will presumably be called the Snapdragon 865. If you didn’t already know, we reported something similar to the Snapdragon 865, but it was a different leak, in which we stated that Qualcomm was reportedly testing the new chipset since June of last year. At that time, there wasn’t much to go on but thankfully, we have some new and exciting details to share. 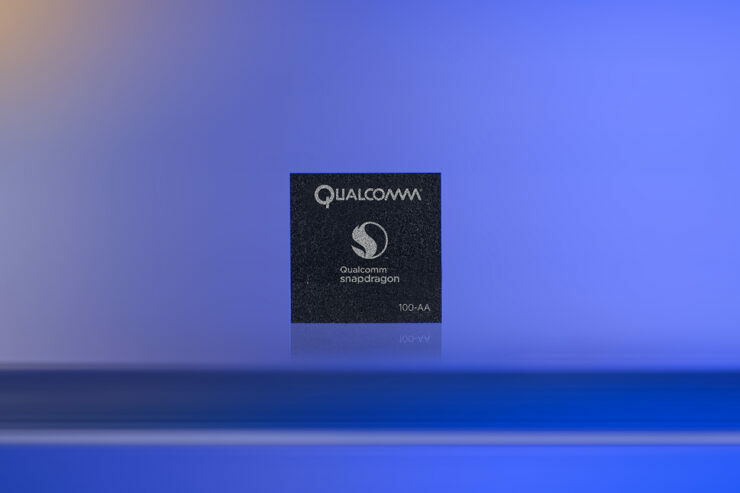 Qualcomm Earlier Spoke About Embedding a 5G Modem With Its New SoC – Was It the Snapdragon 865 the Company Was Referring To? The Snapdragon 865 SoC will reportedly bear the model number SM8250 and is apparently internally codenamed ‘Kora’. The chipset is rumored to support LPDDR5 RAM, but it will be up to manufacturer which memory type they want to pair up in their handsets. Since LPDDR5 will be a newer standard that Samsung earlier boasted about, the Korean giant will no doubt charge its OEM partners a bigger sum per chip. On the other hand, the Snapdragon 855 supports LPDDR4X RAM, so getting LPDDR5 support should be a big deal. Previously, Qualcomm had said that its new chipset will come with a built-in 5G modem but the new report claims that 5G could be optional with the new SoC. The report also says that there is also a second chip within the internal development board, called SDM55 or ‘Huracan’ and it might be the external modem accompanying the chipset. At this point, details remain sparse about the Snapdragon 865, which is understandable as it is not expected to make a debut before the end of the year. The chipset will most likely be based on a 64-bit octa-core architecture like its predecessor, and while we’d like to be optimistic, we don’t believe Qualcomm will shift to the more advanced 5nm technology as yet. The Snapdragon 865 could be made using 7nm EUV, and hopefully, in the future, we’ll get to know more details regarding the SoC. Qualcomm’s flagship SoCs fuel a good number of premium Android flagships in the market, with the exception of Huawei, Samsung, and Apple which makes its own silicon. The U.S.-based chip manufacturer has given its Snapdragon 700 some serious punch in the performance, which only means the high-end category will need a new successor before the end of the year. What sort of performance and efficiency improvements should we expect the Snapdragon 865 to hold over the Snapdragon 855? Let us know down in the comments. Qualcomm Snapdragon 855: New CPU Cluster, 7TOPS Engine & 4K Bokeh!